A special kind of anticipation is when an anticipated undesired situation makes an agent adapt its behavior in order to prevent that this situation will occur. 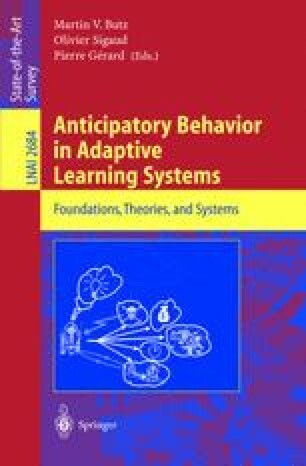 In this chapter an approach is presented that combines low level reactive and high level deliberative reasoning in order to achieve this type of anticipatory behavior. A description of a general framework for preventive state anticipation is followed by a discussion of different possible instantiations. We focus on one such instantiation, linear anticipation, which is evaluated in a number of empirical experiments in both single- and multi-agent contexts.